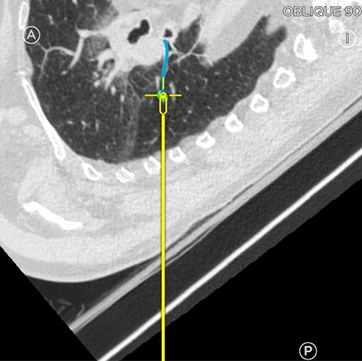 This 65 year-old male with a history of tobacco use and emphysema was referred to Dr. Assad for navigational bronchoscopy of a noncalcified subcentimeter lung nodule. 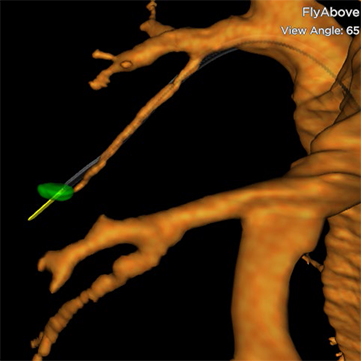 Using the SPiN Planning™ software, Dr. Assad targeted a small 6.0 x 9.3 mm nodule in the superior segment of the left lower lobe. The target showed movement of 6.17mm during the respiratory cycle. 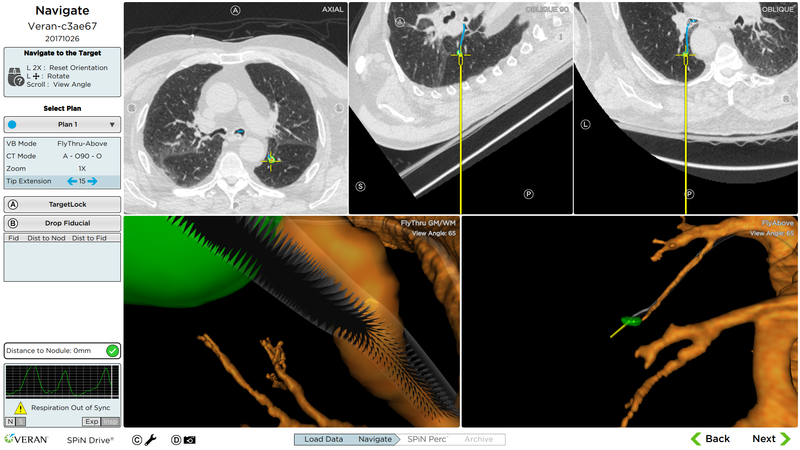 Dr. Assad started the procedure with linear endobronchial ultrasound, sampling lymph node stations 4R, 7, and 10L. 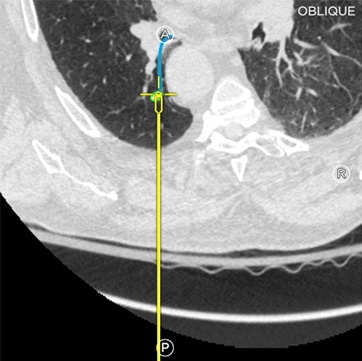 He then proceeded to navigational bronchoscopy and successfully reached the set target and obtained multiple samples using an Always-On Tip Tracked® 22ga needle, serrated cup forceps and brush. ROSE was present to analyze all of the samples taken and identified all EBUS samples as benign. The samples obtained using navigation yielded a positive diagnosis of non-small cell carcinoma from the fine needle aspiration samples. Dr. Assad and Dr. Hunt agreed that the patient was not a surgical candidate and would be referred for radiation therapy. This Stage 1 diagnosis proved timely for the patient and will be treated with SBRT.